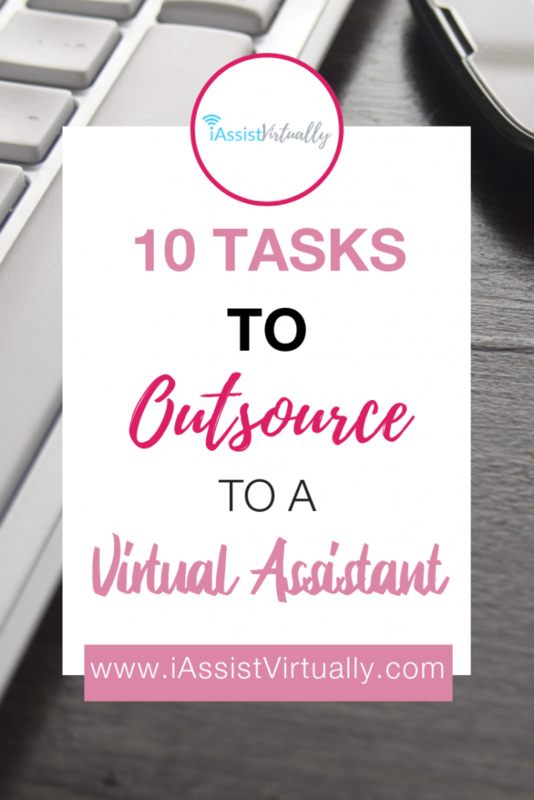 Outsourcing tasks to a virtual assistant can be a daunting process if you’re not ready to let go of the reins. Delegating as much as possible can be scary at first, but allowing a trustworthy VA to handle administrative details can free up your time and enable you to focus on what you do best. You’ll have more time to create products, grow your business, and not get bogged down by the daily behind the scenes work. 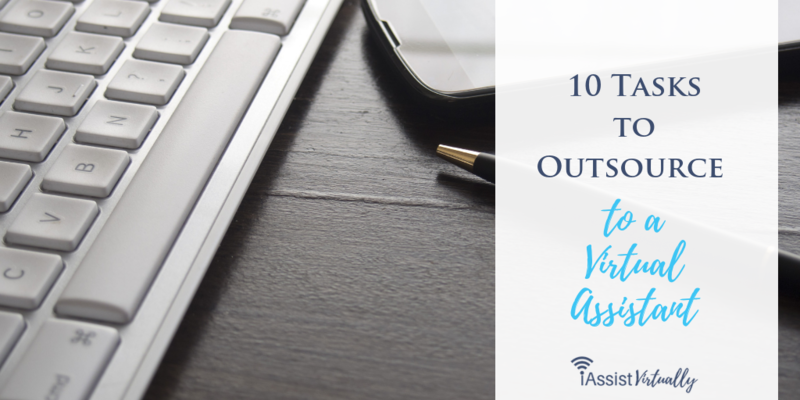 Here are 10 tasks you can outsource to a virtual assistant to instantly give you more time in your week. Whether you use that time for work or leisure is up to you! If you’re an author, coach, executive, or infopreneur, researching is a time-consuming task and is something you should be handing over to a virtual assistant. For best results, over-communicate what you’re looking for and provide context and specific details of how the research results will be used. Not only can a detail-oriented virtual assistant create lists and links, but they can also comb the results and pull out the relevant facts you are looking for. Who actually wants to make appointments and reservations when they could be focused on building their business? Appointment setting can be handed off to your virtual assistant, freeing you up from phone calls, back and forth emails, and never-ending schedule coordinating. The easiest way to do this is to share your calendar with your VA and let her handle the rest. Travel and dinner reservations are easily handled by virtual assistants as well. Share your preferred airlines, hotels, car rental companies (don’t forget to give her your membership numbers for points!) and favorite cuisines and dining spots. If you’ve got a solid relationship with your VA and trust her, share your credit card with her and she can research, plan your itinerary, and book your reservations all at once. How many hours a week do you spend deleting, sorting, reading, and responding to emails? How many emails do you have that need to be addressed but are sitting there, cluttering up your inbox? A savvy virtual assistant can use tools such as Streak, Boomerang, and other sorting systems to keep on top of your inbox. She can create canned responses, mark emails that you need to specifically answer, and maintain a stress-free email experience. Yes, it is possible! 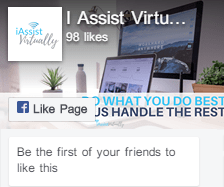 From planning campaign ideas to graphic design, or content creation and scheduling posts, virtual assistants can handle your social media from A-Z. Use Trello (my favorite!) to set up the appropriate steps for executing a successful campaign, and add your VA to the boards. This provides her with a template to follow and duplicate for each project. You can check at a glance what needs to be done, what’s in the process, and what has been completed. I also recommend Buffer as a scheduling tool for multiple social media platforms. Let your VA chime in on ideas and research analytics, handle A/B testing, and report back to you on what posts have had the most engagement. Content creation may be handled directly by your virtual assistant, or if you’re looking for a specific topic specialist writer, your VA can outsource the writing. If you write your own content, you can send your own article to your VA who can then format, add images, schedule, tackle SEO, and post each piece. Writing takes time, and if it’s one of your core offerings, leave the administrative work to the VA. While networking in real life is crucial in some industries, many connections and partnerships can easily be made virtually. This takes a bit of research to find the right person to contact (and their contact information) as well as crafting an appropriate outreach email. Let your VA handle finding people who may be interested in teaming up with you on a project or even potential clients you are unaware of. She can track down who to contact, how to approach them and send a proposal on your behalf. Who has the time to send reports to clients, transcribe meeting notes, and organize the team documents in the cloud? Your virtual assistant! Even if she’s not present at the meeting, you can send her your notes (even if that means taking a few pictures of your handwritten comments) and she can type them up into a legible report. Perhaps you need to update clients regularly on projects. Have your VA contact all appropriate parties and touch base with them on progress, then she can compile documents and share with your client to keep them in the loop. Are your cloud storage systems completely disorganized? A great virtual assistant can go in and create folders, sort and move documents to appropriate areas, and archive old projects. Not only can a virtual assistant provide administrative tasks, but she can also function as a project manager. You’ll need to make sure you have a competent VA with experience in this area. Key characteristics to look for is someone who is pro-active, a great leader, prompt communicator, and a stickler for deadlines. You want a virtual assistant who is a key part of your team and dedicated to seeing the big picture and following each detail along the way. A Project Management VA can create a system in Trello and make sure everyone knows what they need to do and when they need to do it, and update processes for maximum efficiency. Newsletters require many steps before they’re ready to send. Put your VA on newsletter duty and let her handle the template and campaign creations, the scheduling of newsletters, customer segmenting, and setting up automation for drip campaigns. Whether you write the content or have her do that, you can at least have her manage the details for getting them sent. Sales Funnels can be a chore to set up and you probably want to focus on the product you’re selling, NOT the behind the scenes processes that need to be set up to sell. A program like Base CRM or ConvertKit is needed for this, then let your VA get to work on producing more leads and revenue for you! This goes along with number 9, but there’s a whole host of opportunities in having a VA who’s proficient with CRM systems. Each one has its own features, but an experienced virtual assistant work on getting your contacts and leads organized, segmented properly, set up in an automation flow, and handle personal follow-ups with clients. Ultimately, this leaves you with more time and energy to create. 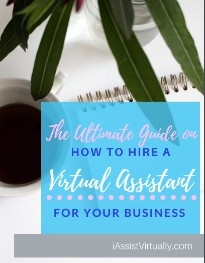 There are many more tasks you could hand off to a virtual assistant. What’s one thing that’s wasting your time that you could delegate?